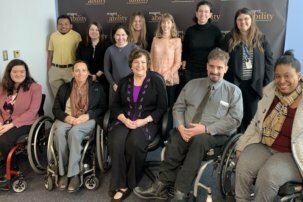 Rockville, Maryland, Oct. 9 – Andy Imparato, Executive Director of the Association of University Centers on Disabilities, spoke to RespectAbility Fellows about disability policy and his own experience with Bipolar Disorder. 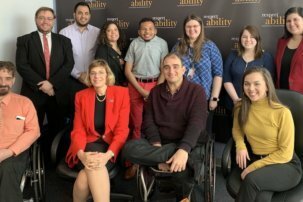 To do so, he spoke about three major themes to changing the scope of disability policy and advocacy: updating federal legislation such as the Americans with Disabilities Act (ADA), ensuring workers know their rights under law, and breaking the stigma by being open with disabilities in the workplace. All of these steps, he argued, are crucial to changing the way we think, debate and formulate disability policy. Imparato was adamant that the ADA be updated for the 21stcentury. “The thing I’m most passionate about is amending the ADA before I retire.” Imparato stated. When asked about areas that need updating, he replied that besides Social Security requirements, many of the updates were technology based. Imparato mentioned that many web-based businesses had no regulation requiring them to comply with the ADA, allowing them to fall into a legal gray zone where employees of those businesses may not be protected. Imparato said it was important to keep up with technology advancements since the ADA’s passage in 1990. Many online companies and websites are not required to make their online content accessible, which can be difficult for people with disabilities who require accessibility to navigate online. Imparato referred to MIT’s Web Content Accessibility Guidelines as a reference for website administrators to ensure their content is accessible. Another update Imparato advocated for was web accessibility for startups such as Uber, Lyft and Airbnb. “In England, it is very easy to find accessible taxi cabs,” Imparato said while speaking about ride-sharing businesses. “Traveling in a wheelchair can be very difficult in the United States, because many taxis are not wheelchair accessible.” This includes cars in companies such as Uber and Lyft, which do not require their drivers to have wheelchair accessible vehicles or offer accessible options. Though there are many areas of the ADA that deserve a modern update, these examples show how easily people with disabilities can be excluded from services we take for granted. Imparato reminded RespectAbility Fellows that it only takes one person to make significant change in the way we view disabilities. He pointed to a local example at Gallaudet University in Washington, D.C., where Irving King Jordan served as the University’s first deaf president. Jordan worked to expand the university and increase funding for two educational centers on campus. “Jordan made significant changes while he was president,” Imparato said, noting that the president was only one person. He also mentioned one of the greatest ways to make a difference is to keep those who are protected by disability law informed and educated. This includes knowing how you are protected under the ADA, what illegal discrimination looks like, and how to report to the Equal Opportunity Commission. “The government’s role is to enforce, not to inform,” Imparato added, noting that the responsibility of knowing one’s rights often falls on those who are protected, not the protectors. Toward the end of the conversation, Imparato took on a more personal voice. He spoke about his experience with Bipolar Disorder and being ‘out’ with his diagnosis in the workplace. 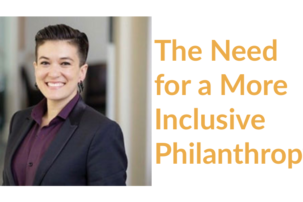 “People’s perspectives on disabilities depend on their experience working successfully alongside people with disabilities,” Imparato noted, adding that if people have a positive experience with someone who identifies with a disability, they are more likely to have a favorable view about disabilities in the future. Emma Content wants to work so that issues such as disability and mental health are not subject to judgment or discrimination. She enjoys drawing, painting, reading and writing.